Organic. 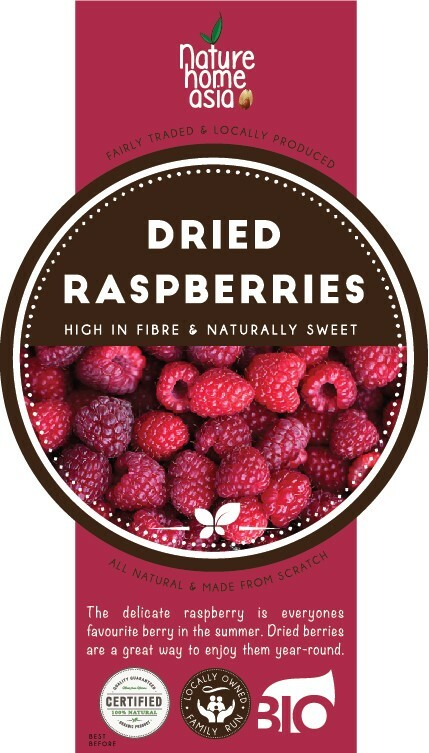 Wonderfully delicious, bright red raspberries are one of the most popular dried fruits we sell. Origin is from one of the major producers, Germany. - High in antioxidants and vitamins A, C and B, Low in calories. The delicate and perishable raspberry is everyones favourite berry in the summer. 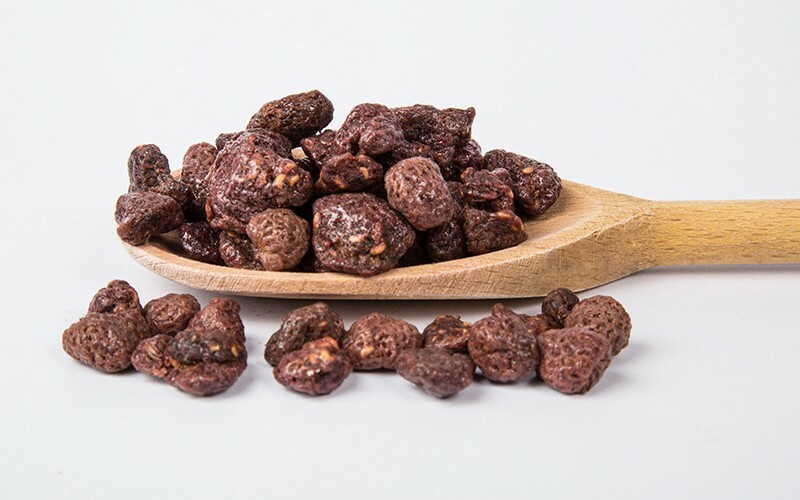 Dried berries are a great way to enjoy your favorites anytime of the year. Berry fruits are low in sugar and high in vitamins and raspberries are everyone’s favourite. Refreshing and vibrantly coloured raspberries are high in antioxidants and vitamins A, C and B. Wonderfully delicious, bright red raspberries are one of the most popular berries to enjoy! They are rich source of health promoting plant-derived nutrients, minerals, and vitamins that are essential for optimum health. Botanically, it is a small shrub belonging to the family Rosaceae. It grows very well under temperate climates. The berry is native to Europe but now widely cultivated in many temperate regions all over the world. Chief producers of raspberries are Poland, United States, Germany, and Chile. Raspberries are low in calories and saturated fats but are rich source of dietary fiber, and antioxidants. 100 g berries hold just 52 calories but provide 6.5 g of fiber (16% of daily recommended intake). Raspberries have significantly high levels of phenolic flavonoid phyto-chemicals such as anthocyanins, and quercetin. Scientific studies show that the antioxidant compounds in these berries play potential role against cancer, aging, inflammation, and neuron-degenerative diseases. Xylitol is a low-calorie sugar substitute extracted from raspberries. Xylitol absorbs more slowly in the intestines than sugar and does not contribute to high glycemic index, and thus, can be helpful in diabetics. Fresh raspberries are an excellent sources of vitamin-C, which is also a powerful natural antioxidant. Consumption of fruits rich in vitamin C helps the human body develop resistance against infectious agents, counter inflammation, and scavenge harmful free radicals. Raspberry contains anti-oxidant vitamins like vitamin A, and vitamin E. In addition to the above-mentioned antioxidants, and has a high ORAC value. The also contain a good amount of minerals like potassium, manganese, copper, iron and magnesium. They are rich in B-complex group of vitamins and vitamin K. The berries contain very good amounts of vitamin B-6, niacin, riboflavin, and folic acid. And they are so versatile in cooking. From cakes, to smoothies, yoghurt, ice cream, puddings or just sprinkled on your cereal. Berry heaven!